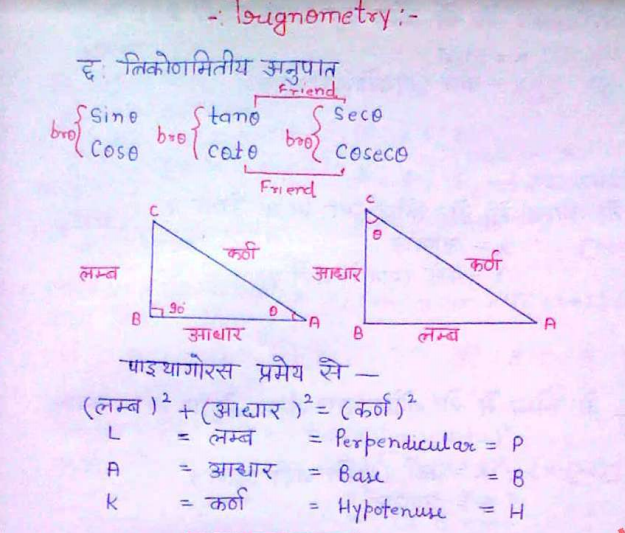 Today, in this post we are sharing Trigonometry Hand written notes for SSC Exams in PDF. This Pdf is compiled by Shri Ankur Yadav and credit goes to him. you may download it from the links provided below.